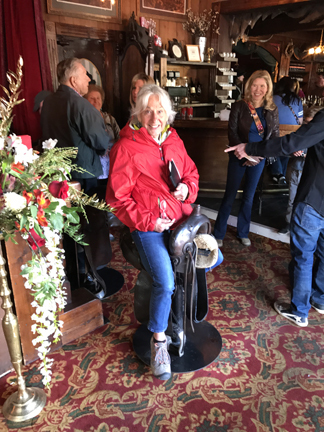 Background – each year I plan a wedding anniversary surprise for Helen, June 8, 2017 was number 49. We consider it our biggest personal celebration of the year. Helen is given minimal, but necessary, information well in advance of the date. For example, date(s), time of departure/return, driving or flying, likely temperature range, and appropriate/necessary dress for all activities. For this trip, 4 days (2 days traveling), flying, will be hiking at altitude, temperature range 40-65 degrees, weather uncertain (be prepared for rain and cold). Also, casual and nice-casual dress with a “western theme” and the possibility of dancing the Texas two-step. 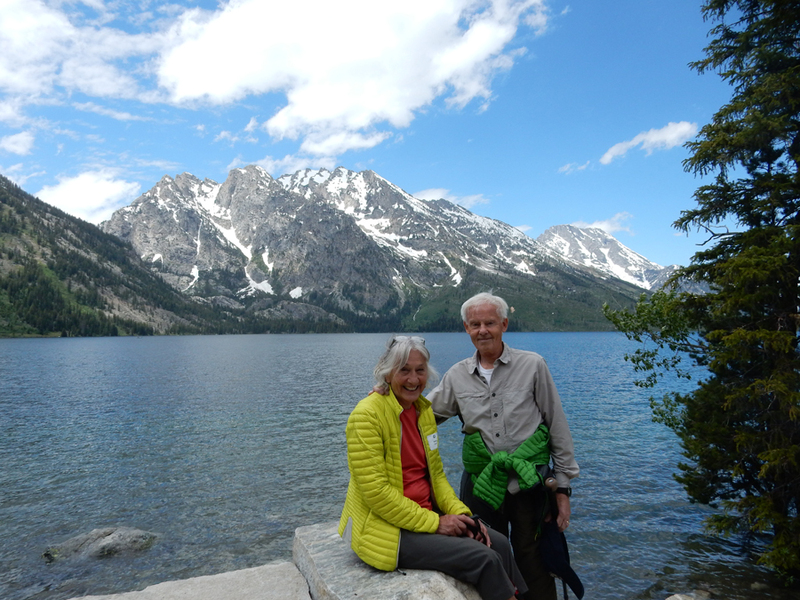 June 8 – we flew from Dayton to Minneapolis/St Paul to Salt Lake City and on to Jackson Hole WY. 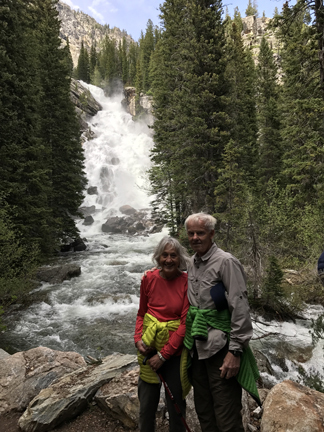 Helen only learned of the destination while in Salt Lake City – I had to give her the next boarding pass. 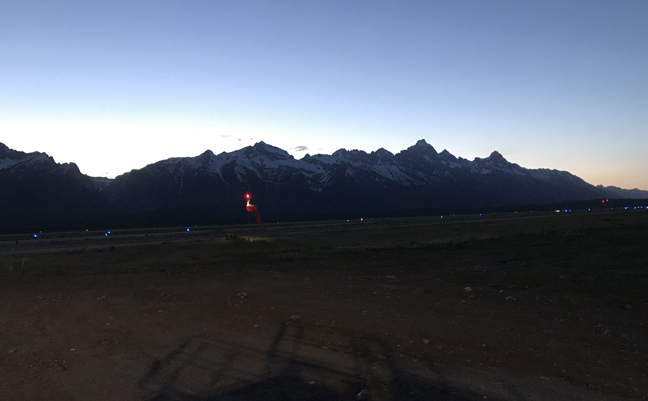 Arrived at the Jackson Hole Airport at 9:20pm under a full moon. 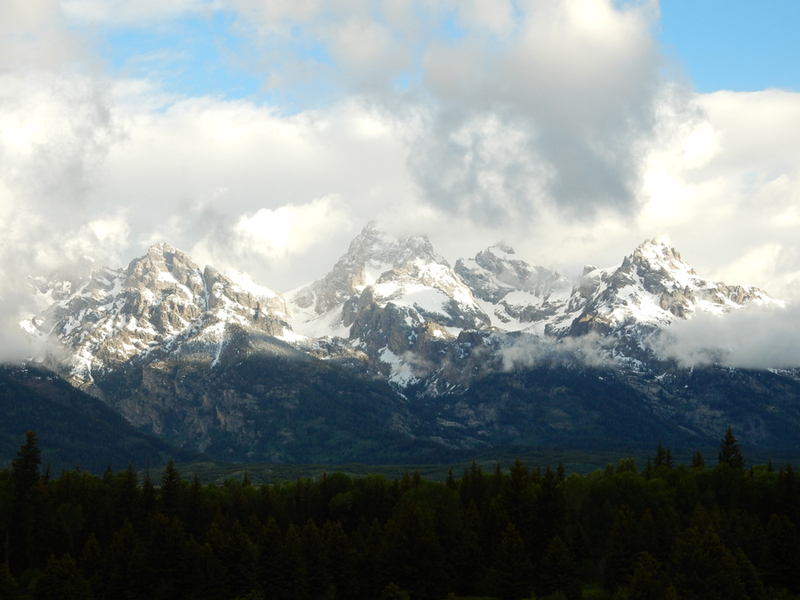 June 9 – met Scott, Nicole and Jennifer of the National Park Foundation (NPF) at 6:15am during breakfast at the Marriott. 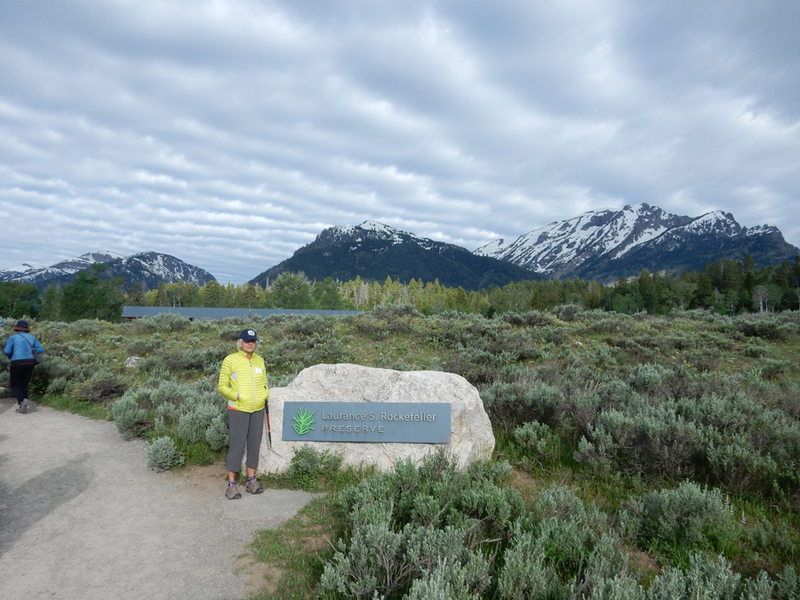 Helen and I were part of an 18-member group that had registered for a Point of Interest (POI) program in Grand Teton National Park. We were given NPF caps and sunglasses as we boarded shuttle busses at seven. It was 43 degrees and raining as we headed for the Laurance S. Rockefeller Preserve. The driver of the mini-bus as well as an NPF staff member in each mini-bus provided riding commentary. 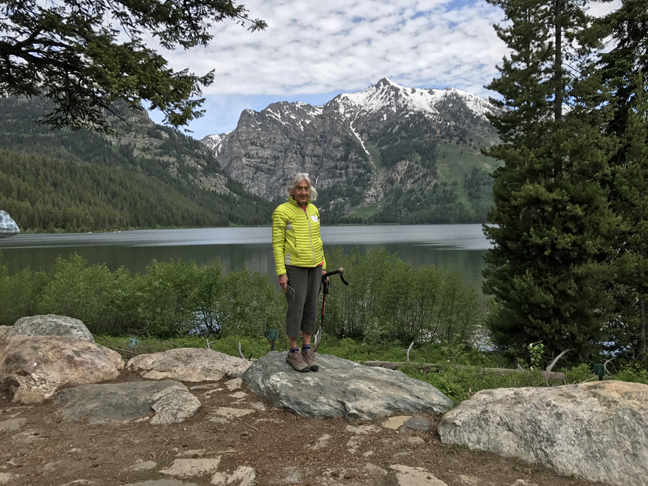 When we arrived, we split into two groups, each with a National Park Ranger and started on a 3+ mile loop hike, a combination of the Woodland Trail and Lake Creek Trail, to Phelps Lake. 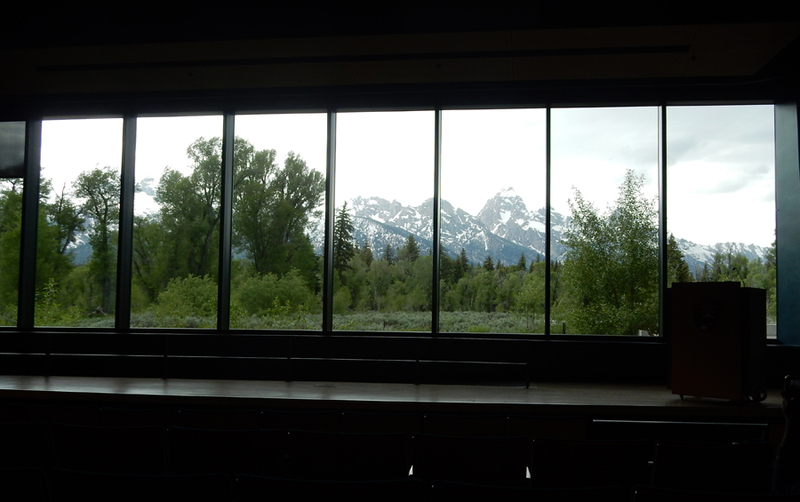 In 1927, John D. Rockefeller, Jr’s agent started to secretly buy up ranches in the Teton Valley. 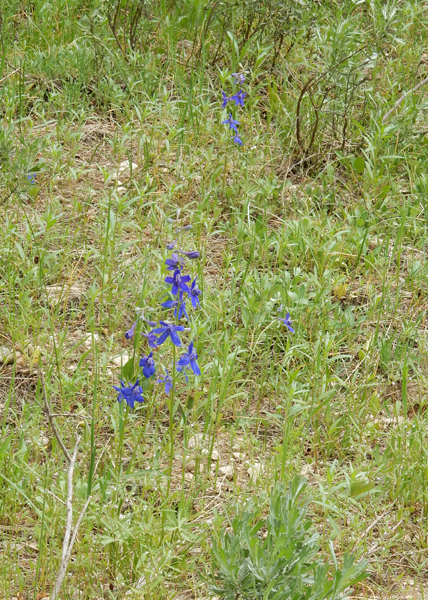 JDR’s intention was to later donate them to the National Park. 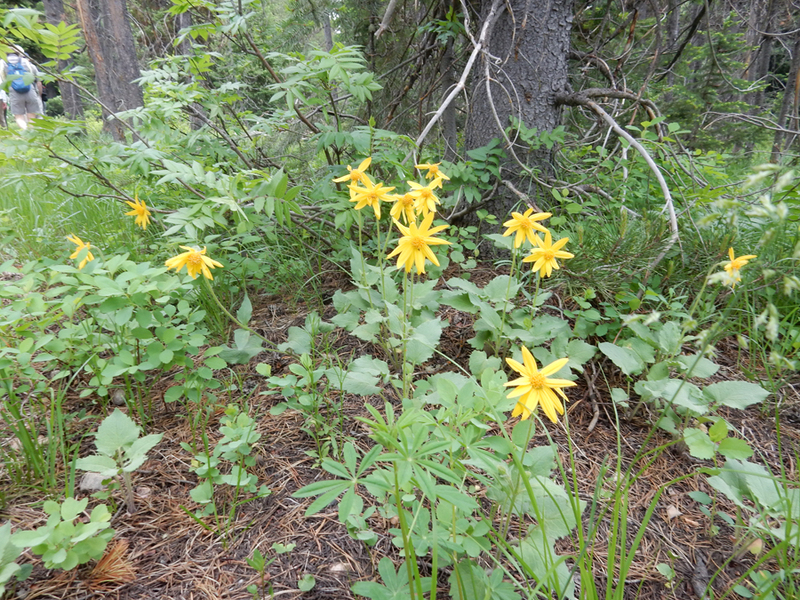 The secrecy was thought necessary because there was a lot of local opposition to expansion of the National Park. 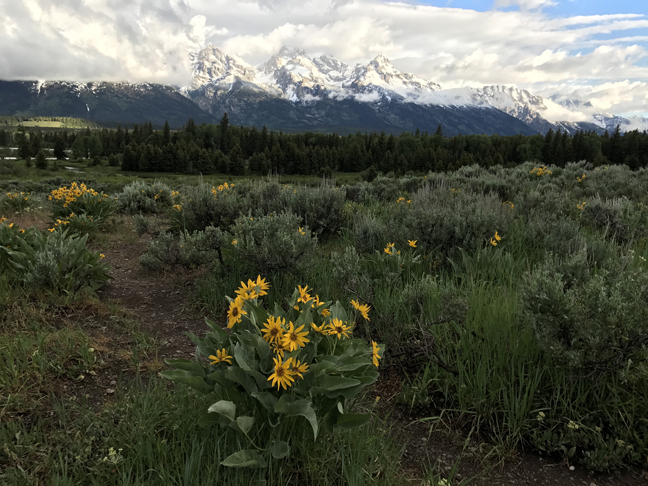 In 1949, 33,000 acres were donated to the park and JDR kept 3,100 acres, the former JY Ranch at the south end of Phelps Lake, for a family retreat. 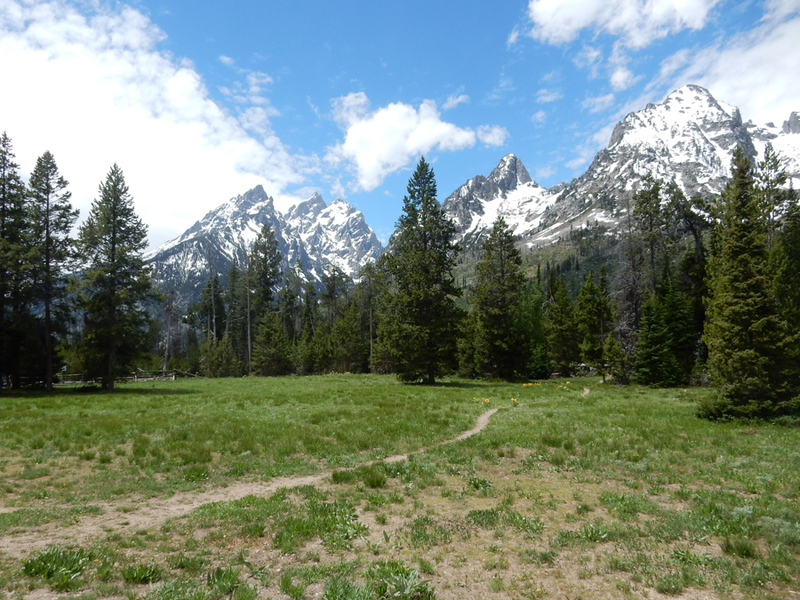 This land was later handed down to JDR’s son Laurance S. Rockefeller who continued the family enjoyment of the ranch. 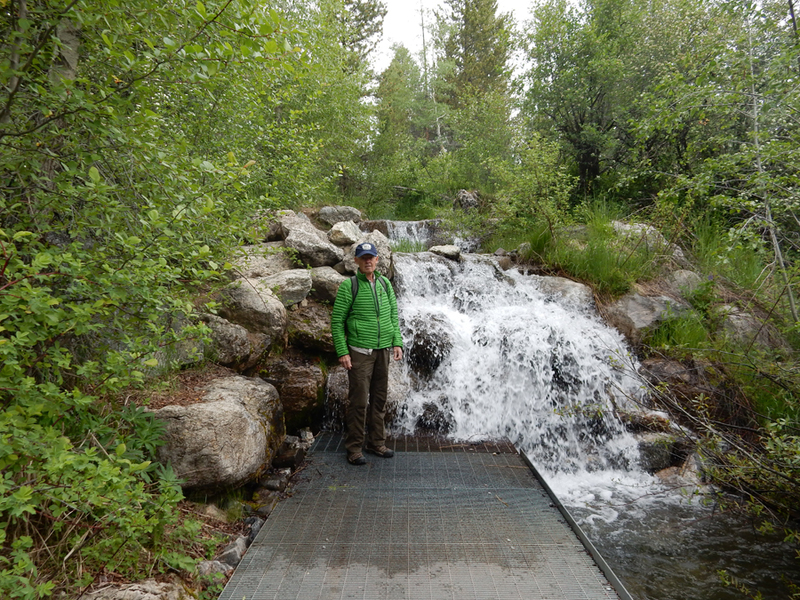 This ramp and manmade waterfall were built for Laurance’s daughter so that she could feel the water from her wheelchair. 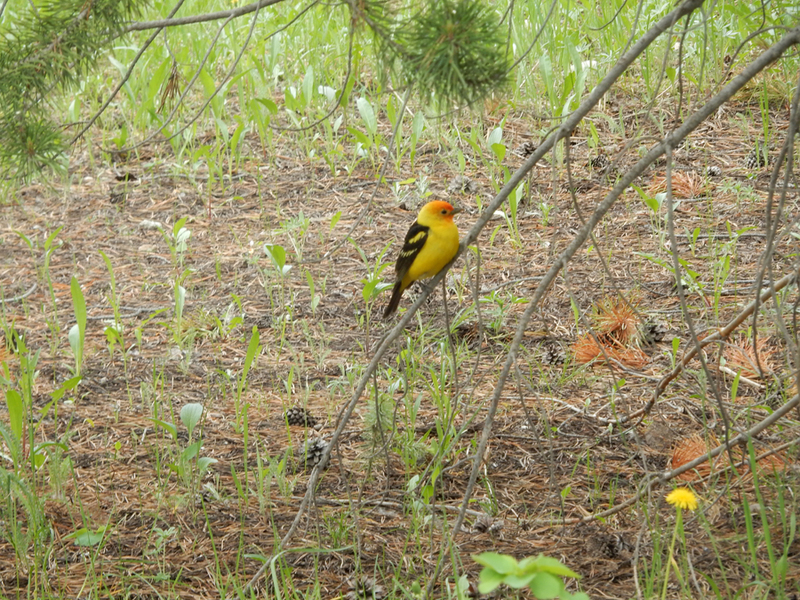 Laurance later transferred 2,000 more acres to the park and in 2001 donated the remaining 1,106 acres with specific instructions as to how they should be preserved for the American people. This was one of several stops where our ranger guide told us the story of the place and pointed out some of its natural wonders. 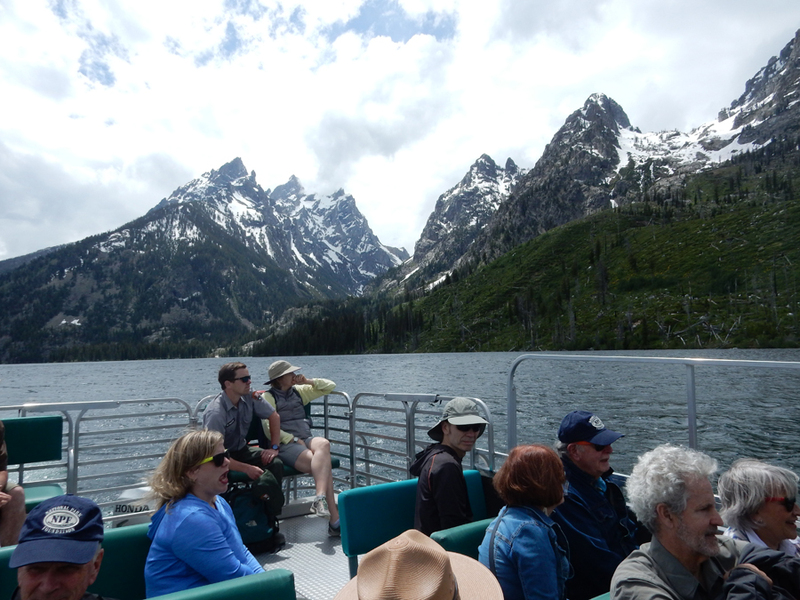 After our hike, we boarded the vans and drove to Jenny Lake Lodge for lunch. 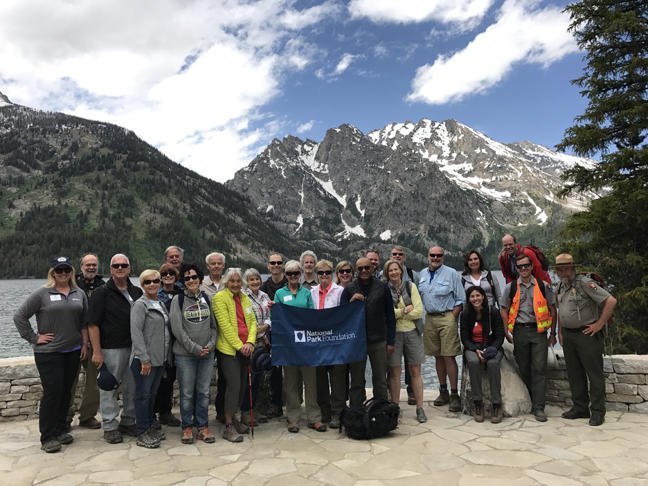 There we were treated to an informal presentation by David Vela, superintendent of Grand Teton NP, and had an opportunity to ask questions. 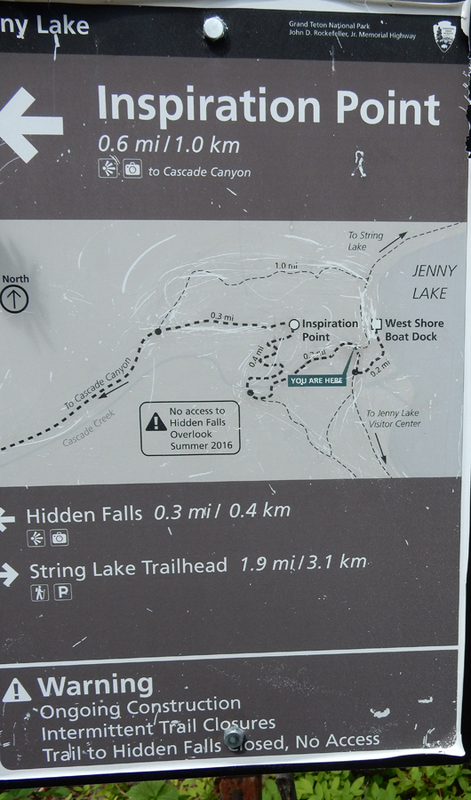 Afterward, we walked to Jenny Lake. 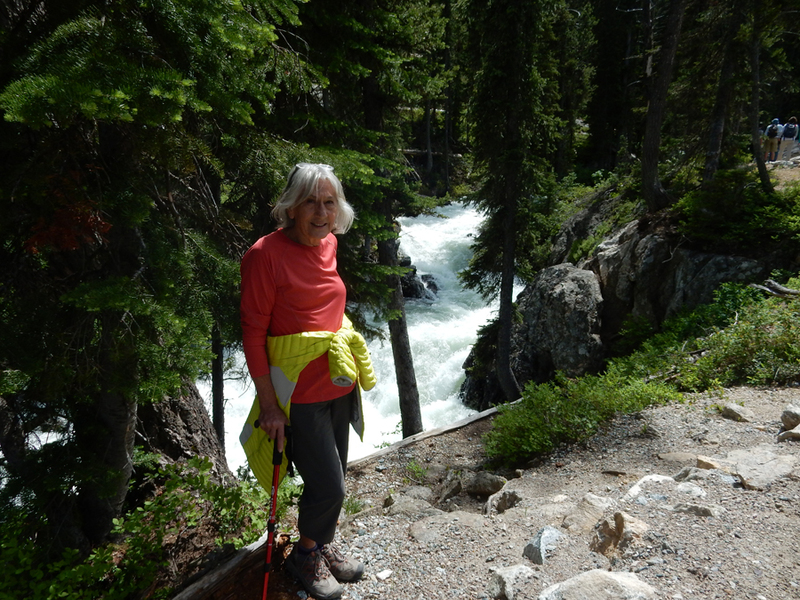 Cascade Creek, over 6000 inches of snow last Winter. 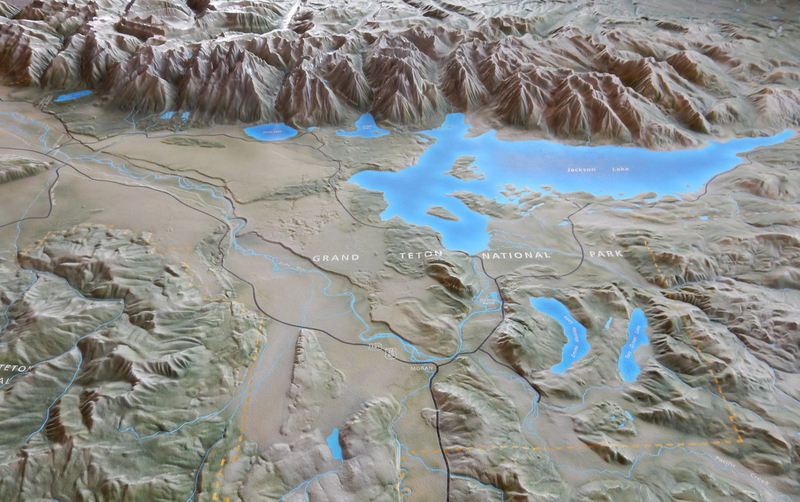 Rivers are now over their banks with snow melt and there is flooding in Jackson Hole. 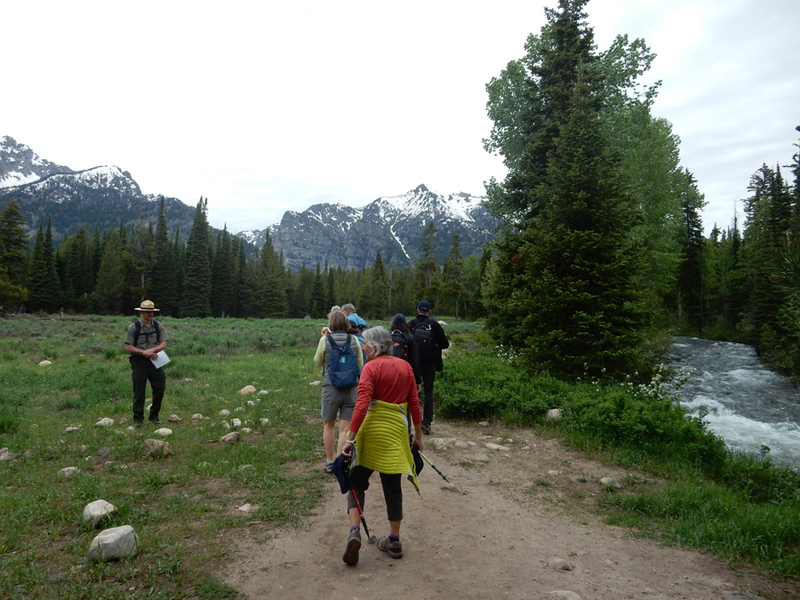 June 10 – Forty degrees and raining as we left at 6am in three vans provided by the Teton Science Schools (TTS). 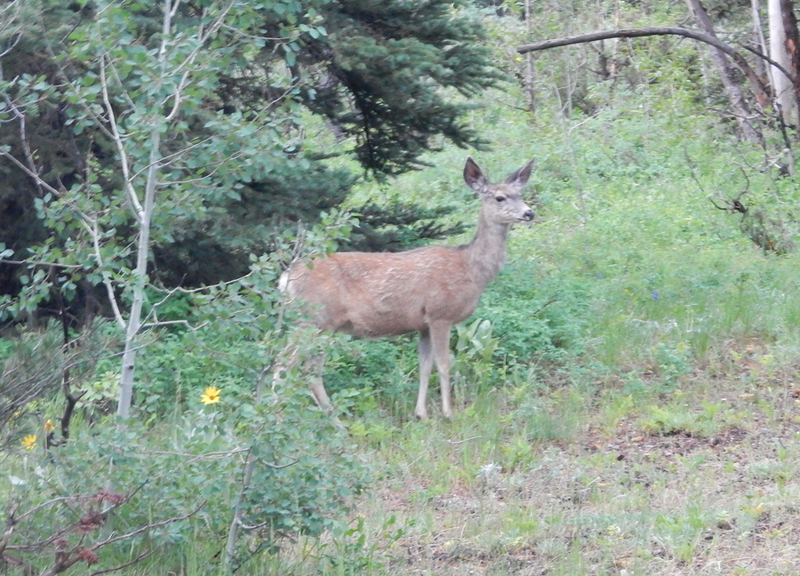 This was a wildlife excursion and the weather was perfect! Each van had a driver/guide/naturalist from TTS as well as an NPF staff member. 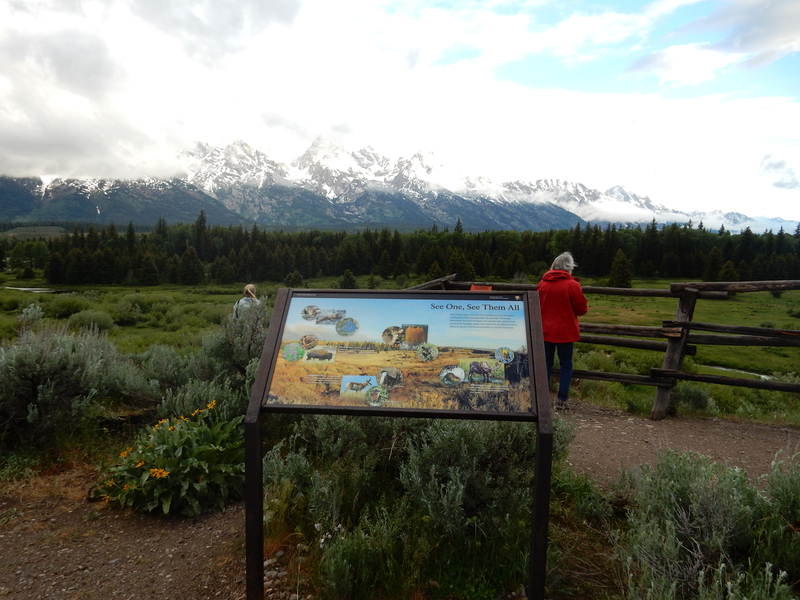 This was our first stop/viewpoint looking over a riparian area toward the mountains. 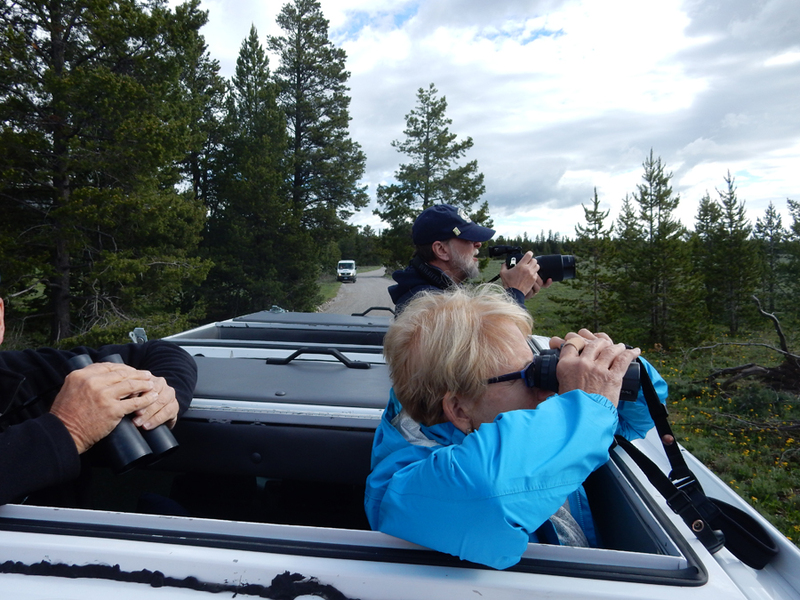 Jean, our guide, had a viewing scope as well as a keen eye and could find and describe the location of wildlife so we could then train our binoculars on the location. 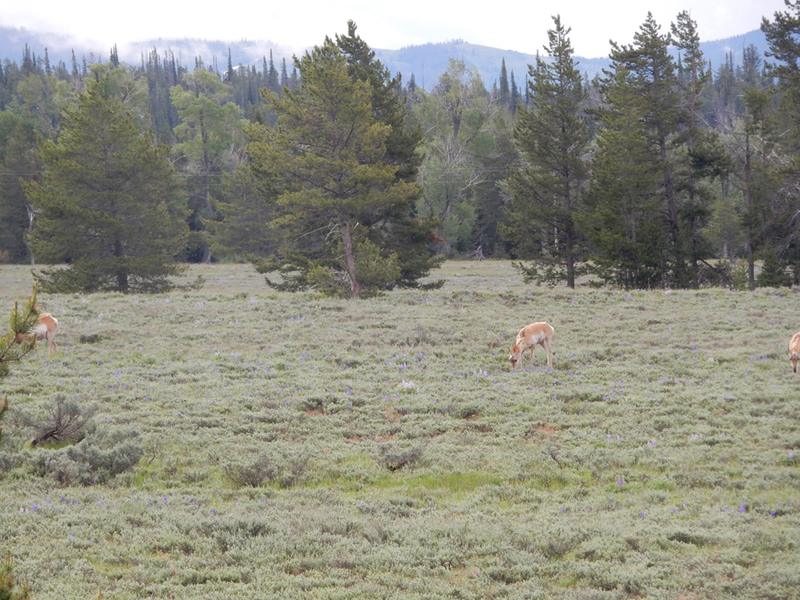 Our first large mammal siting was an elk. Guides would communicate with walkie-talkies to let everyone know when wildlife was discovered. If the target was close to the road, we would quietly open the roof hatches for viewing with binoculars or take photos with cameras. 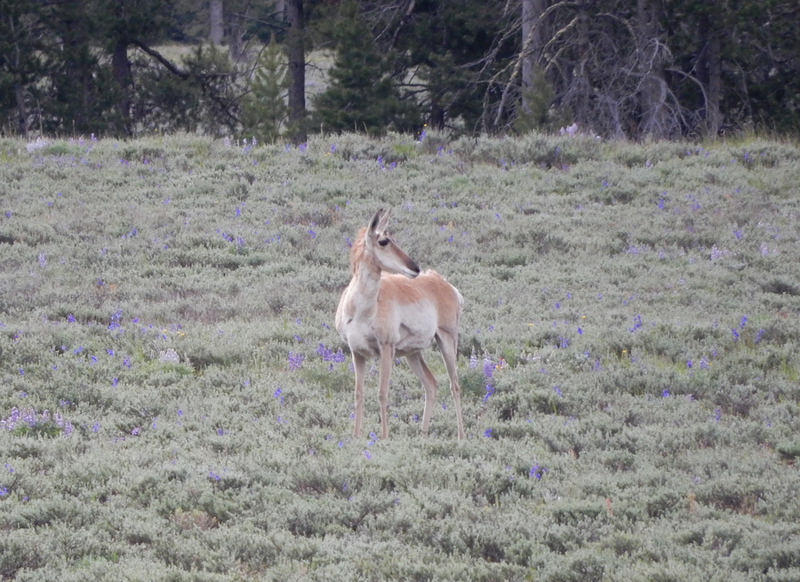 Our wildlife checklist included a bear, fox, elk, beaver, male and female (one with fawn) pronghorn antelope and trumpeter swans but most were too far away or too fast for photos. The viewing scope was used to full advantage. 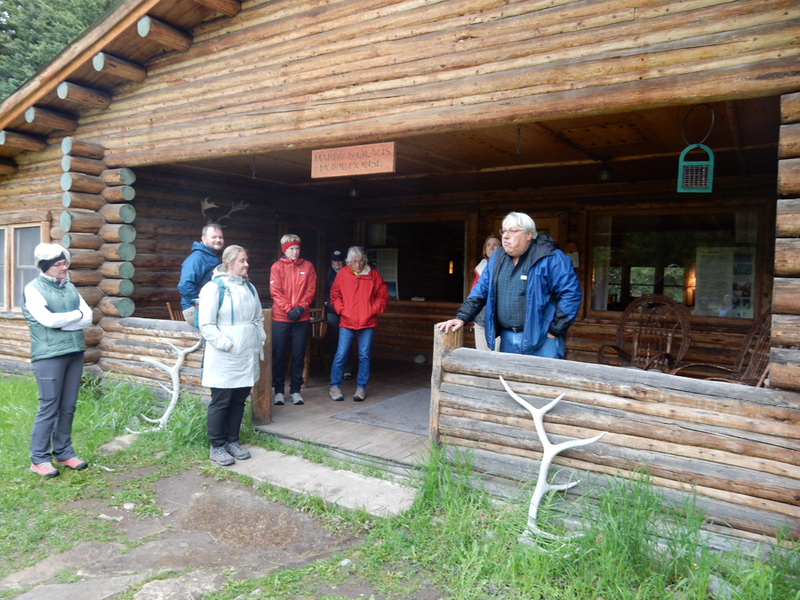 Had a late breakfast at the Kelly Campus of TTS where we learned about its operation and later had a delicious lunch at the Murie Ranch. Here Docent Dan welcomes us to the Mardy and Olaus Murie home. 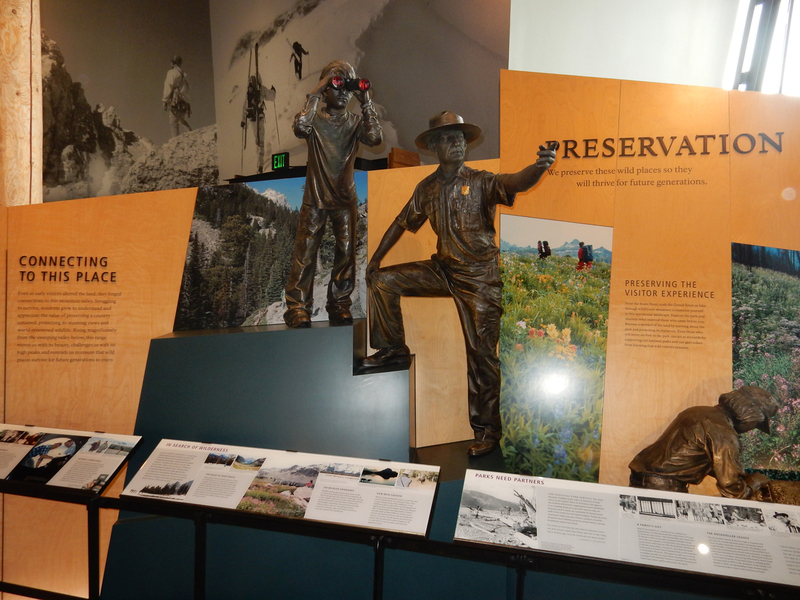 The Muries were prominent members of the Wilderness Society. On this porch and in this home discussions lead to a proposal and eventual passage of the Wilderness Act. It was signed by President Lyndon Johnson on September 3, 1964. After returning to Jackson, Helen received her wish to hit all the thrift/consignment/second-hand stores in town. There were a couple of minor purchases plus a 3 x 5 Persian carpet. 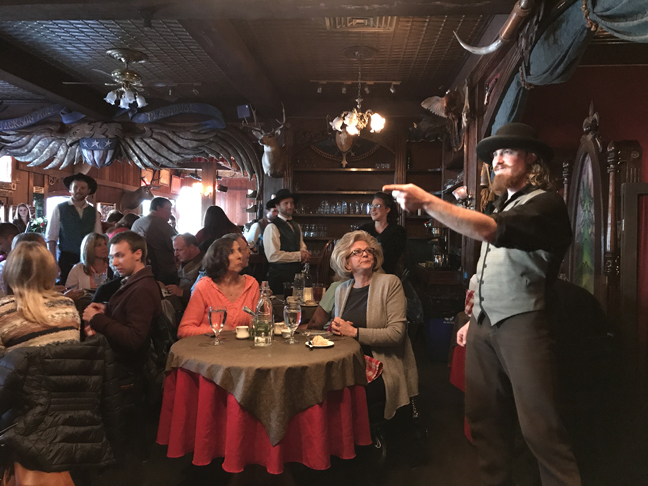 We then had our VIP evening anniversary celebration at the Jackson Hole Playhouse. 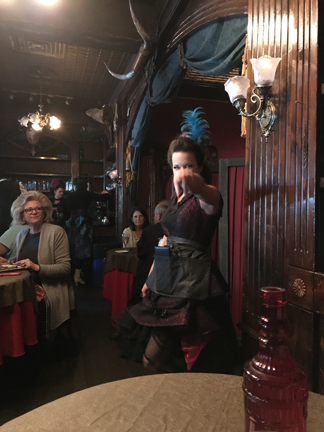 First, dinner at the Saddle Rock Family Saloon and then front row center seats for the performance of “The Unsinkable Molly Brown.” The performers also served as our waiters and waitresses and sang for us during dinner. 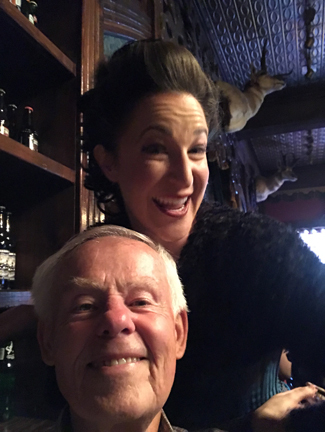 There was a stage announcement that it was our 49th wedding anniversary – resulting in thunderous audience applause! When asked what our secret was, Helen answered that we only saw each other once a year! 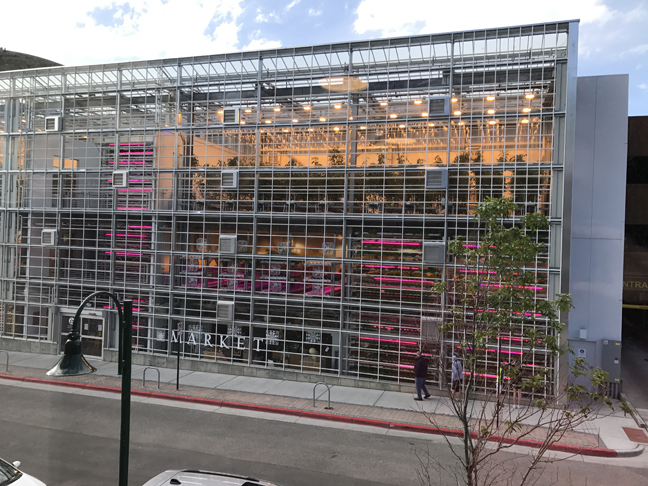 June 11 – we had to get some pictures of the Vertical Garden and Market in the building across from the Marriott before we left for the airport. 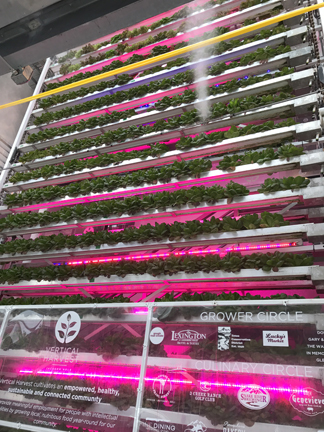 Vertical garden production = 5 acres! 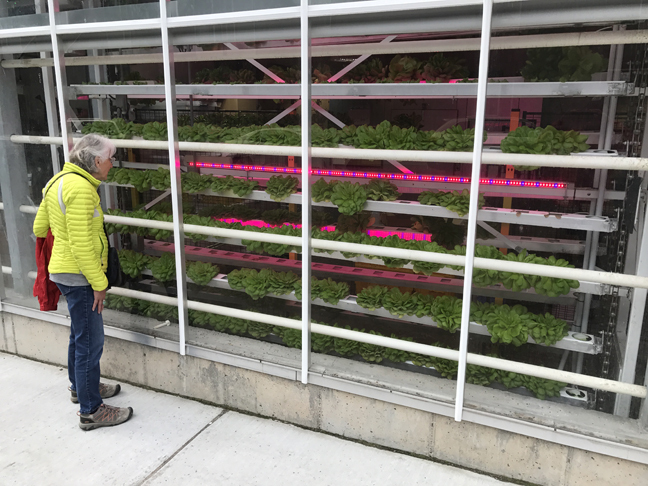 They produced lettuce, tomatoes, and micro-greens. Ninety percent of produce went to local restaurants and ten percent was sold at the Market store. 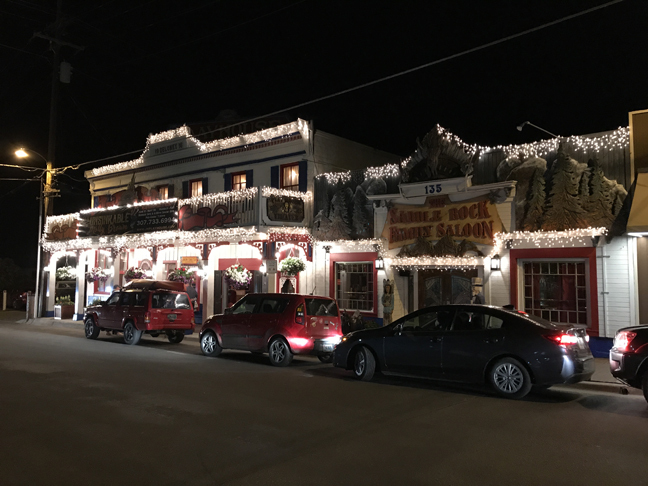 You are currently browsing the The Martin's Blog blog archives for June, 2017.